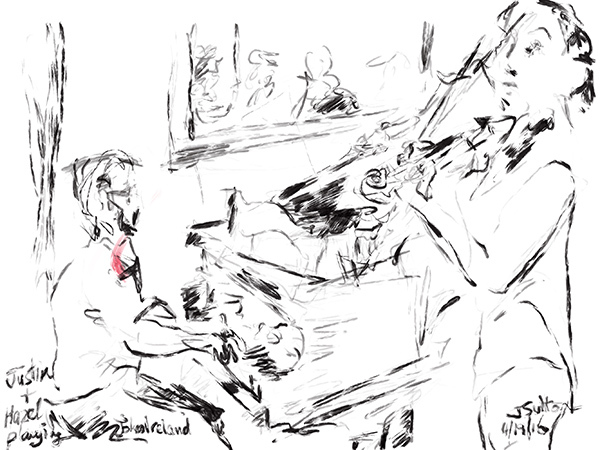 This video depicts me sketching Hazel Keelan, violin, and Justin Schrum, piano, as they practice in my studio for their June 18th Something New with Sight and Sound: The Music of John Ireland performance of the work of English Impressionist composer John Ireland. It took place in the Community School of Music and Arts (CSMA) at the Finn Center, Mountain View (see Palo Alto Weekly and San Francisco Classical Voice articles). 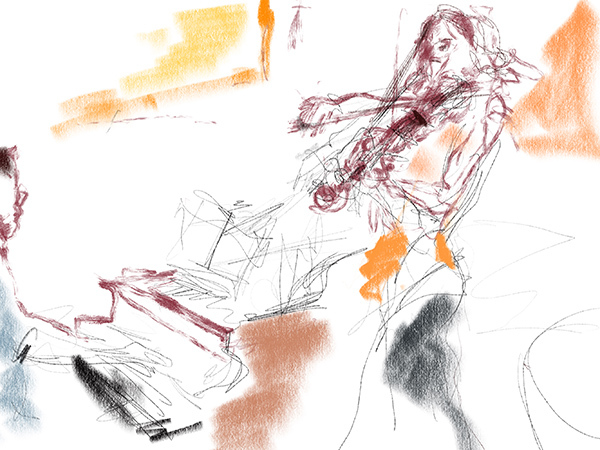 They mixed in some audience participation through a new app and artist Caroline Mustard did some live iPad painting. 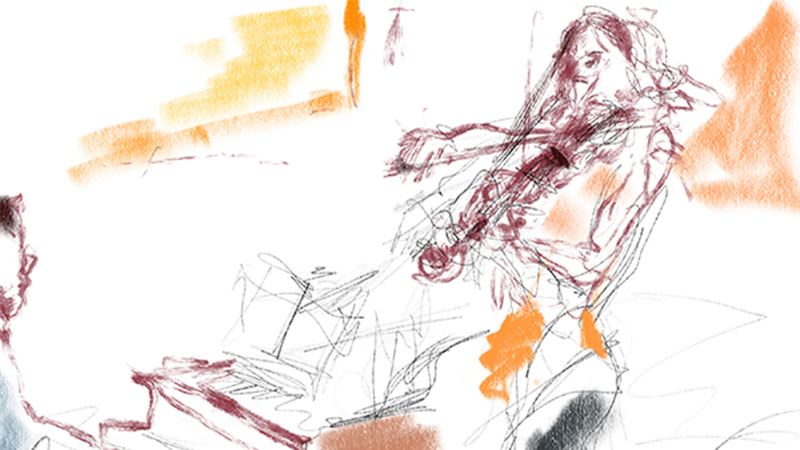 The two iPad sketches I made while they played in my studio are shown here (below). They were both created using the Procreate app on the iPad Pro with an Apple Pencil. The video replays show the brush stroke by brush stroke replay of drawing.